You will earn 739 Reward Points. Earn 1 reward point for every 1 dollar spent. 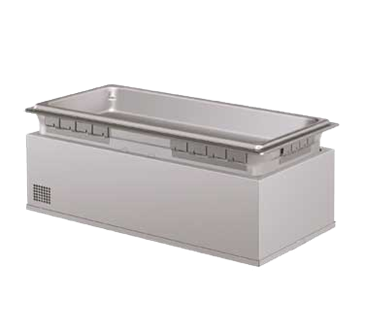 Hatco insulated Built-In Heated Wells hold heated food at safe seving temperatures longer. Compared to other models, Hatco units offer a larger drain with a flat drain screen, more consistent holding temperatures, heavier stainless steel construction, easier-to-service design for quick change of components and a remote thermostat with separate power switch.